“If you can fake it, you can make it,” is no longer a truism on social media. Youngsters are too eager to call out on the fakery. Still, an ignorant tribe does exist, they just can’t get enough of the likes and shares for their daily rush of adrenaline. Post they must, and they will just about anything to appear smarter and more happening than the rest of us wretched souls. The Jordindian, however have taken it upon themselves to call out on all the fake people. The truth about ‘Party animals”, “Plastic Fans”, “Gym Freaks”, “Hashtaggers” and more fake types is revealed in a hilarious video on their popular page. One can easily identify a few of those in their friends circle, and in case one is the fake type, it is high time someone held a mirror to their face. The youth brand is Fastrack, The makers of stylish sunglasses, bags, watches and more for the millennial generation has chosen to take a lead in this new movement that’s catching up with this generation – the get real movement. Fastrack calls this “Shut The Fake Up,” staying true to its saucy image. In collaboration with 22feet for the campaign, the youth brand indulged in an array of social and digital media activities empowering youth to join in and call out the fakers. Beginning with an ad film by Happy McGarrybowen, the team rolled out the native video with Jordindian. The video invited viewers to check out the Fastrack Faketionary for more such fake people definitions, leading digital audiences to the Faketionary microsite. The Faketionary is your friendly neighbourhood dictionary that calls out fake behaviour in all its form and glory. You can look up a word and tag a friend who that word reminds you of. Every word also carries an animated version with it along with a sound file with the correct pronunciation, just as in an online dictionary. A ‘Hashho‘ is someone who uses too many irrelevant hashtags. a ‘Royal Snag‘ is someone who pretends to be drunk at music festivals, a ‘Fanager‘ is someone who claims to be friends with all the artists at the festival but really isn’t, and a ‘Check mates’ is someone who checks-in at fancy places from their home! One can add their own words to the Faketionary, one can upvote or downvote any of these words, and share them on Facebook and Twitter. One can start a petition to put a lid on fake behaviour. People have already added petitions of their friends that fall into the various categories in Faketionary. Meanwhile, Fastrack’s social media platforms have been sharing the fake squad in its cute animated avatar, and asking fans to tag friends who remind them of each. Shut The Fake Up also went offline at the VH1 Supersonic 2018, with Fastrack as a sponsor and 22feet as digital partners. A shooting game called ‘Shoot the fake out’ had our Jordindian duo also participate in their characteristic style of humour. A Pledge Booth was built where people fed up with being fake could take a pledge. A selfie around a giant installation of the war cry “Shut The Fake Up” was also on at the music fest. This is the second time Jordindian has collaborated with Fastrack and its digital partner 22feet. Last year, the duo were part of another funky content-driven campaign for Fastrack’s association with The Music Run. Read “How Fastrack aced creative content marketing to woo millennials for The Music Run.” Fastrack seems to have its pulse on Gen Z, picking up its vibes and giving a voice in the form of creative campaigns. 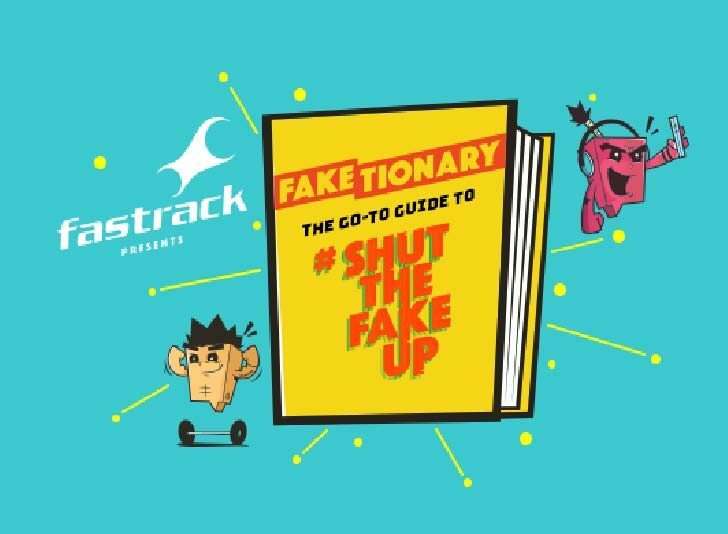 Fastrack’s “Shut the Fake Up” is, in other words, a twist to the regular ‘Get real’ or ‘Be you” campaign, most millennial-facing brands have chosen to adopt. Only here, an element of fun and creativity has been added to the concept, the strategy and execution. 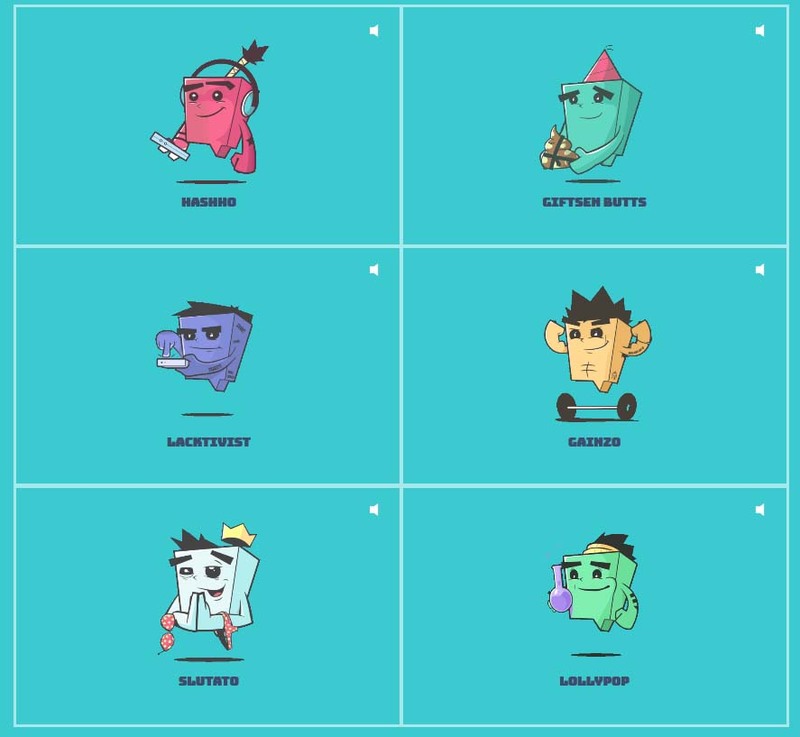 Enabling youngsters to also join in the movement of calling out fakes with the help of Faketionary makes for a shareworthy content marketing campaign, well aligned with the campaign message, with Fastrack acting as the cheerleader. For a millennial targeting brand, Fastrack never ceases to amaze us with its clarity on its target audience, and campaigns specifically crafted with them in mind. Rajasthan Chief Minister Ashok Gehlot Is Buying Facebook ‘Likes’. So, What’s The Big Deal?